2016 is around the corner. The countdown has begun. But wait, are you prepared to welcome 2016? We all know that the New Year will bring to the fore a whole new set of changes in the way businesses market their products and services, marketers try to improve their ranking with search engine optimization (SEO), the way people surf the web and a lot more. According to hubspot.com, in the U.S. alone, an average of 12 billion web searches are conducted each month. SEO will gain importance more than anything else as it helps you drive quality traffic, get visibility, boost your brand and lend your business the credibility it needs to succeed. After all, what is the point of creating so much content and graphics if it is not visible to the audience when they run search query. In 2015 also, marketers realized the value of SEO, aligning their content for customers’ needs and mobile optimization for better results. After all, 50% of all mobile searches are conducted in the hope of finding local results, and 61% of those searches result in a purchase, according to searchenginewatch.com. Searchengineland.com suggests SEO is the process of driving traffic from the ‘organic’, and ‘paid’ sources to win the rat race of ranking on search engine result pages (SERPs). Though search engine rankings keep on changing from time to time (it’s normal), make sure that you have built your site in the right way and regularly posting quality content to drive a steady stream of traffic to your pages. An article in Quicksprout.com states that the average content length for a web page that ranks in the top 10 results for any keyword on Google has at least 2,000 words. Isn’t that amazing?! We predict that more social media content will be indexed on Google and other popular search engines such as Bing and Yahoo. This will in turn blur the lines between ‘web’ and ‘social media’ in terms of SEO strategies. So, be prepared to find, collect and use your valuable social content for optimizing your page for maximum visibility. For brand names, social media profiles are amongst the top results in search listings. 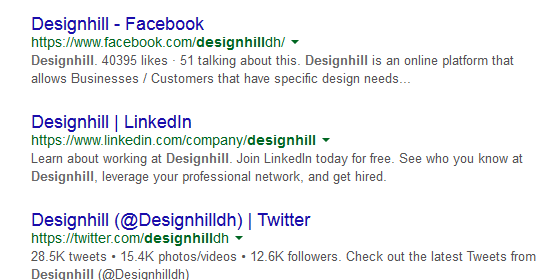 For instance, if you search “Designhill” on Google, the company’s Facebook page, Twitter profile and the LinkedIn page appear as the top listings. See for yourself! Blog.kissmetrics.com states that links to content on Facebook, Twitter, LinkedIn, Google+, YouTube and other social networks help the search engine crawlers understand what websites are credible and should be ranked for what keyword phrases. A report by Marketing Land states that videos make for 62% of all Google searches universally. Moreover, Google has started giving attention to blended results/searches. So, why not grab this opportunity to appear on the first page of search results by including an engaging video in your content? According to Quicksprout.com, videos get 50 times better organic page ranks in Google as against plain, static text results. Also, video searches garner 41% higher click-through rate as compared to plain, static text content, according to Relesoo.com. Many marketers chose to drive their modern marketing engine with the fuel of Video SEO in 2015. And we predict that more marketers and businesses will embrace the trend of videos in the coming year too. 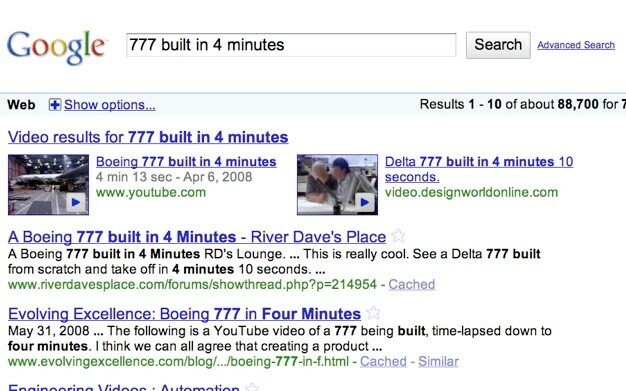 Take a glance at what a blended search result looks like for the search query “777 built in 4 minutes”. Now, the only way to appear in the search engine pages like this is by uploading your videos on You Tube or through video SEO. It is important that Google is able to find your video content, successfully index it and display your video content when specific keywords are entered as search terms. Is your business website mobile-friendly? Your audience is no longer in one place. People use all sorts of devices such as tablets, smartphones, laptops, phone watches to browse web. Keeping this in mind, plenty of brands went mobile-friendly in 2015. And we anticipate that more brands will take up this trend in the upcoming year. Mobile optimization will become the norm, rather than exception. So, it’s high time you changed the way you conceptualize and create SEO strategies for mobile searches. Neilpatel.com states that the total number of searches on mobile devices has seen a 43% increase year-over-year. Also, Google’s algorithm update this year ensured that mobile-friendly websites get a search ranking boost on mobile searches. As more and more people use mobile to surf the Internet, Google decided to make it easier to find relevant, mobile-optimized websites. So, it now uses mobile-friendliness as a factor in ranking search results. If you’re still not convinced, here are just 5 stats that will make you go mobile-friendly in 2016. These days, people who are on the go use voice search simply because it is more convenient and safer, especially when someone is driving or multi-tasking. It is becoming a huge part of mobile usage as it has taken away the pain of typing keywords to run a search query. Almost all mobile devices have a voice search functions. The popularity of voice searches has been spurred by Microsoft, Google, and Apple launching their own versions of advanced voice-responsive assistants – Cortana, Google Now and Siri. Even ‘Domino’s Pizza’ has a ‘voice-ordering feature. However, make sure that your content is easily searchable through voice searches by using long-tail keywords, which are more likely to be spoken than conventional keywords. Google Study finds voice search mostly used to ask for directions. For teens, doing a voice search while watching TV (59%) and while with friends (57%) are the highest use cases, according to marketingland.com. 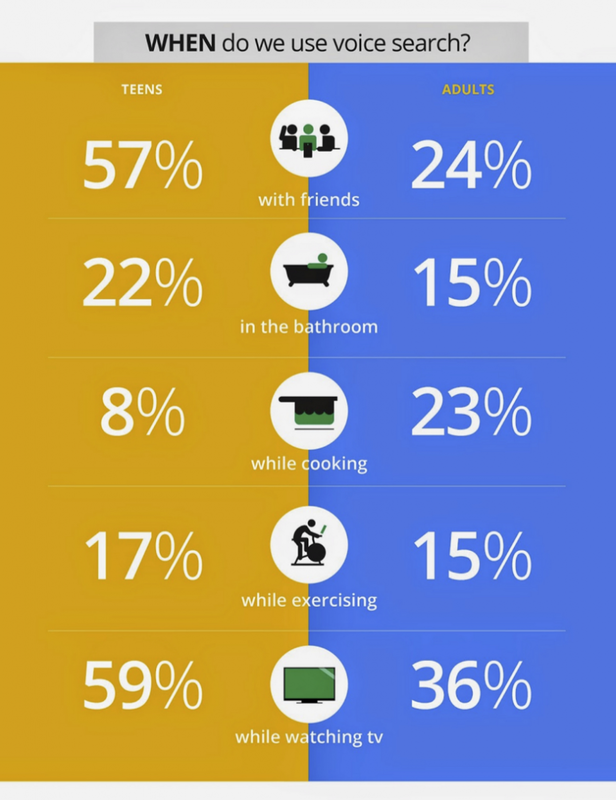 Whereas for adults, voice searching is done the most while watching TV (36%), followed by when with friends (24%) and while cooking (23%). According to Digitalcurrent.com, Knowledge Graph, wiki, local, maps, social media, news, images and videos make for 85% of Google search results. These stats indicates that now people look for sources that provide all relevant information for a particular subject or topic that at one place. A blog published at imediaconnection.com explains that content aggregation is a practical way of finding, collating, amassing, consolidating, presenting, sharing, and displaying content around pre-specified set of criteria to appeal target audience. A great example of content curation is using the humble newsletter, Next Draft by Dave Pell, who has amassed over 160,000 subscribers to his daily email which shares the most interesting stories in business, culture, and tech, an article in Jeff Bullas explained. Another example is Inbound.org which was built by Moz and Hubspot to increase their reach even further. According to Tech Crunch, mobile apps account for 52% of all time spent on online digital media. Another report available on the Internet reveals that users spend 89% mobile time using apps. This is the reason for more and more businesses planning to explore the advantage of mobile apps. As discussed above, use of mobile for web search is on an all-time rise and apps just make the work easier. Just few more years and mobile apps are sure to overpower desktop and mobile websites. An article in searchenginejournal.com states that 85% of people prefer native mobile apps to websites. Feature your brand prominently in the app name and make sure you have proper links to apps for better search rankings Also, you must ensure that app optimization tops your list of SEO optimization. There are several brands that are benefiting from prominent mobile app visibility in Google’s organic search results. Have a look at what happens when you search eBay in Google. The app page URL presents a powerful opportunity to “occupy” the first page of Google SERPs. This trend is only going stronger over the years. According to Entrepreneur.com, local SEO is likely to gain solid grounds in the coming days. As a marketer, you have to let Google know where you are located and what you are offering so that your chances of showing up on pages, especially in front of the relevant audience, increase. It is must to have your local pages which will include the name of your business, address etc. with Google, Yahoo and Bing. Since Google came out with its “Pigeon” update, local SEO has gained significant prominence forcing businesses and marketers to focus on a local tangent. So, ensure of having location specific keywords and personalize content basis your target audiences’ location to stay ahead in the game in 2016. 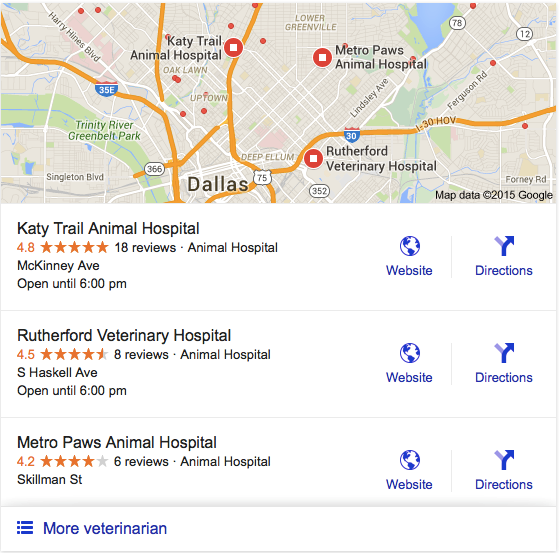 Check out some stats to know the benefits of ranking in local search results. Your listing in the local pages can increase consumer engagement with your business and your ranking. To conclude, you must brace yourself in expanding your presence on social media, instilling videos of your business in your content so that you get Page 1 ranking in Google. A good ranking ultimately helps you build strong influence and enhance your brand name amongst your audience. So, don’t miss out on any latest update by Google and trends in search rankings to shine out in the crowd. The better SEO strategies you have, the more benefits you will have. So, concentrate on creating fresh and quality content that you can and promote it across all social media channels such as Facebook,Twitter, LinkedIn, etc. By just doing this, you will find that your search rankings have improved tremendously. The next step would be to sustain the rank by posting fresh and unique content and videos regularly. 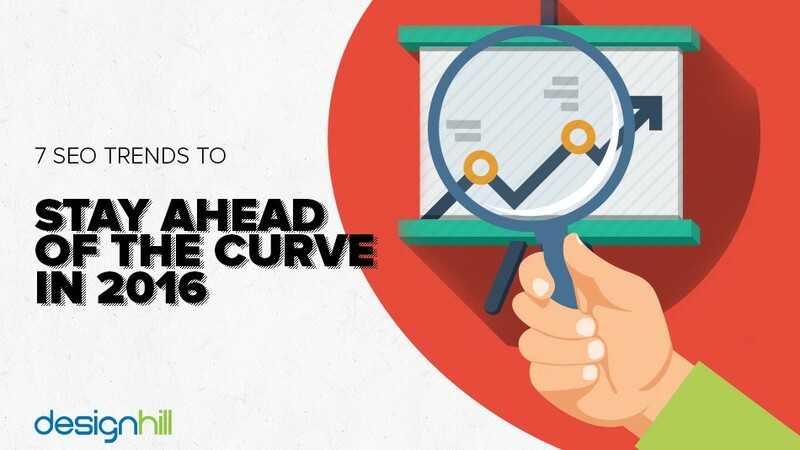 Though trends keep on changing, we expect that these 7 SEO trends are most likely to dominate the scene in 2016. While some of them will become extinct like the dinosaur, some will evolve and outlast the rest. Nevertheless, we’re sure by embracing these trends, you’ll be able to spearhead the market in the New Year.